Congratulations Danny, well deserved, wise IO decision. That's very interesting Danny. I'd like to see a race one day. 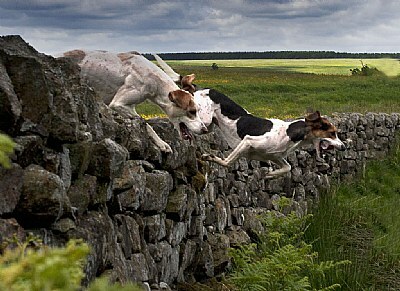 It must be highly competitive sport as the dogs look super fit (lots of muscle and no fat - I can see their rib cages). Great photos Danny - keep em coming. Ido quite a lot of hound trailing shots as I love Action and these races take place about 5 minutes from home.Basically someone lays a trail with a rag soaked with aniseed and the hounds are let off. they follow the trail and the first one back is the winner.These take place over rough northumbrian landcapes. Superb capture Danny, the moment and everything else are stunning. Congratulations for such a strong image. Fine action well captured, Danny .. every single muscle is visible among other details ... would enjoyed if I were you :) Wonderful decisive moment. Perfectly captured moment. Good composition and bright, good color. Very good action.